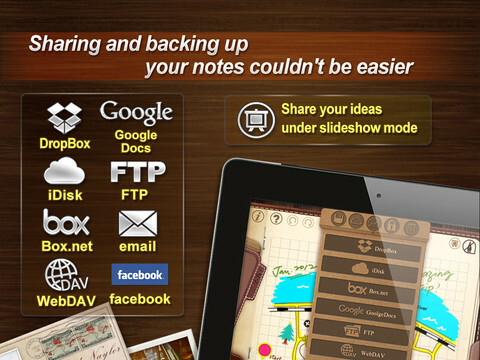 We’ve reviewed several great apps fromKdan Mobile Software LTDin recent months, includingPDF ConnoisseurandPocket Snapper. The developers have distinguished themselves by developing pay-to-play apps that look great and offer stellar performance, and we’ve given them high marks for a reason. 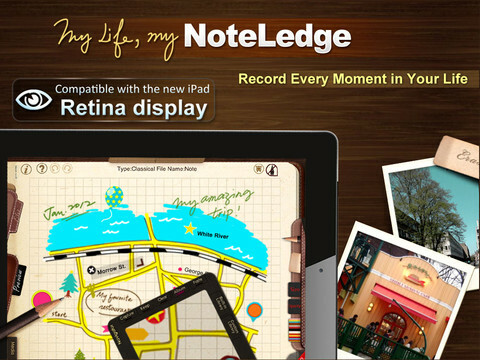 So how does NoteLedge for iPad stack up? In a word, awesome. It’s surprisingly versatile. Rather than limit you to a single type of notetaking, the iPad app basically becomes a super functional drawing pad: you can type, handwrite, or draw your notes (plus you can add in photos and videos.) It’s like scrapbooking on speed. 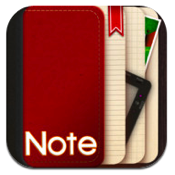 In fact, it’s hard to see why NoteLedge calls itself a notetaking app, when it reality it’s so much more. 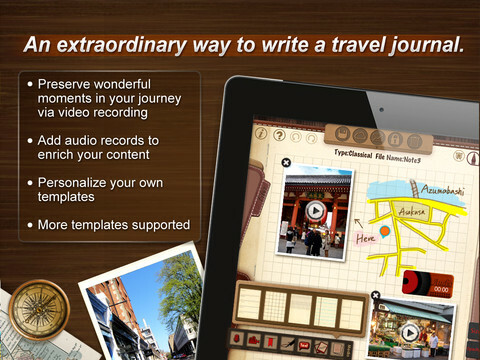 You can use it for notetaking, sure, but also for scrapbooking, diaries, doodling, travelogues, or even creating e-cards from scratch. Now, it’s not perfect. While it is fairly intuitive, it can be hard to return tools to their spot and move to another tool. And while you can easily adjust opacity and size of your drawing tool, you can’t do the same with the eraser. 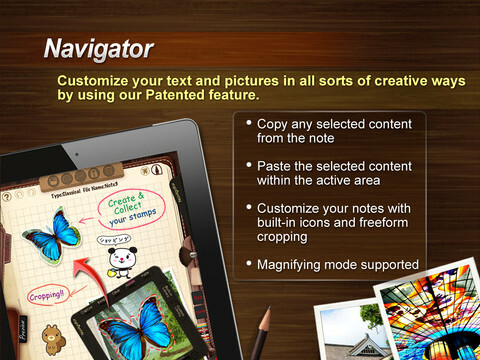 The ability to change the size and intensity with which you erase would take this great app to the next level. On the other hand, there are plenty of really smart touches, like a palm rest you can drag and drop over your work in progress to help prevent accidentally marking up the screen with a wayward touch. The drawing offers range, sensitivity, and versatility the likes of which we haven’t seen since we tried out the wonderfulInspire — Paint, Draw & Sketchby KiwiPixel.With a full set of stylus including a pencil, a crayon and three types of brushes, easy drag ‘n drop positioning for media, and tons of ready-made templates, it’s a great iPad app. There’s Facebook integration, a calendar view, and the ability back up notes to a wide range of cloud storage sites including Dropbox, iDisk, Box.net, GoogleDocs, FTP and WebDAV. Even if you aren’t in school or working in an office, there’s about a dozen ways you can use NoteLedge. Two bucks is a bargain for this smart, beautiful, and pretty darn perfect iPad app. NoteLedgefor iPad is compatible with iPad. Requires iOS 4.0 or later.